1 oz *OR* 1/2 oz glass bottle with dropper. Our 100% natural beard oil softens and conditions even the unruliest of beards. 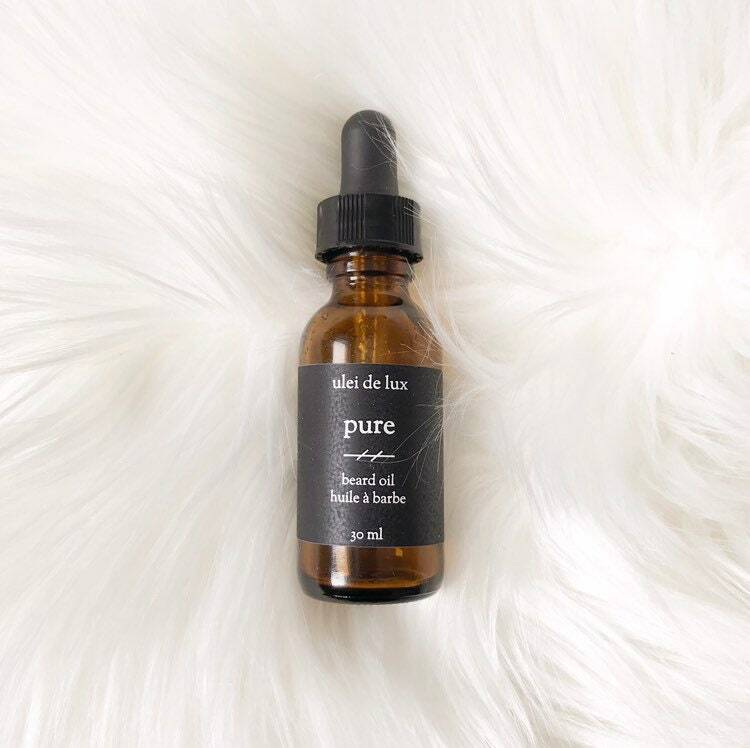 Made from a blend of Argan, Jojoba, Castor and Sweet almond oil, this light formula will add just the right amount of hydration without feeling greasy or heavy. Benefits include a fuller looking beard, less beardruff and softer hair with lots of shine. Instructions: Rub a few drops of oil between palms and work evenly through beard. Ingredients: Prunus Amygdalus Dulcis (Sweet Almond) Oil, Simmondsia Chinensis (Jojoba) Oil, Argania Spinosa (Argan) Oil, Ricinus Communis (Castor) Oil, Tocopherol (Vitamin E), Essential oils.